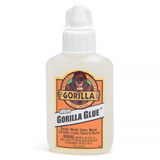 Gorilla Glue brand adhesives are known throughout the woodworking community for their strength and dependability. 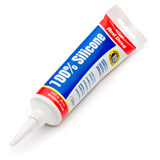 We offer Gorilla Glue White 2X expanding polyurethane that dries white, expands to 2x to fill voids when gluing pen tubes, project parts. 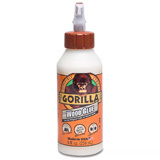 Our Gorilla Glue Epoxy is ideal for mixing metal and crushed stone for inlay work, along with general glass, wood or metal bonding. 5 Minute dry time. 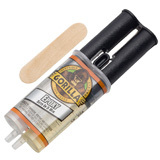 Gorilla Glue Wood Glue is strong and fast setting making it ideal for bonding segmented woodturnings. 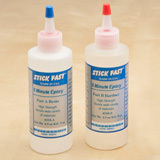 Non-toxic, it works equally well on hardwoods, soft woods and composites.